This is a little bitter-sweet. You may have noticed that I haven’t had many updates to my comic reading list lately. The first reason is because I was waiting for Comet Comics to open up – replacing Silver Snail as my chosen store. The second reason is that once again, I have to scale back my comic-related purchases. Those that know me, know why, and it is the why that makes it tough. Well, whoever said life is fair? Anyway, I had ordered a few books during the break, and there of them came in. I have one more on order so that is four books I have/am getting for sure. After that it will slow down quite a bit. 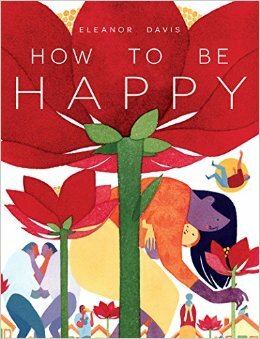 ‘How to be Happy’ is a collection by cartoonist Eleanor Davis and was a New York Times best-seller. Nothing in it addresses the title, though the best story in the book teaches the exact opposite. There is some great stuff in here and there is also some stuff that left me scratching my head, wondering what the point was. That’s art sometimes. It isn’t always easy.